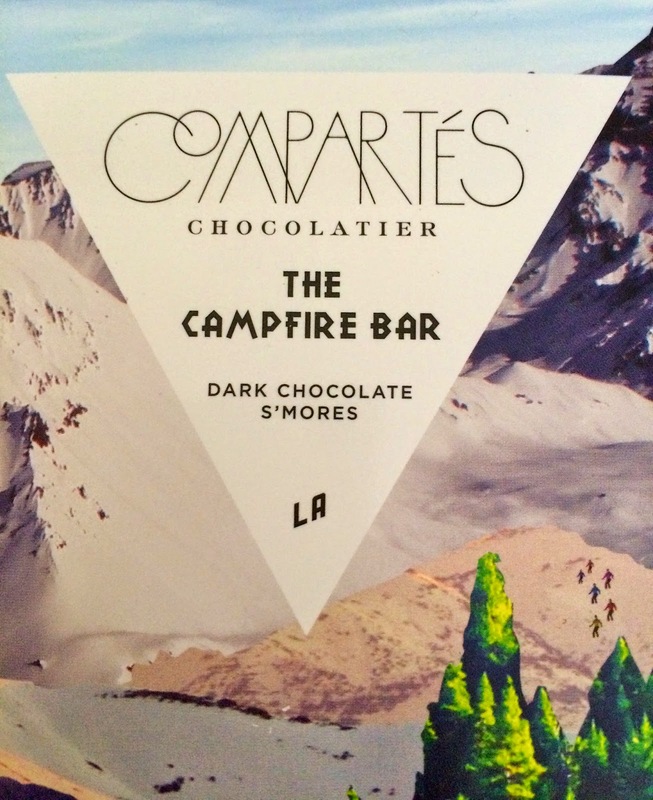 About three to four years ago I came across this chocolatier, Jonathan Grahm, who owns Compartes in Los Angeles. 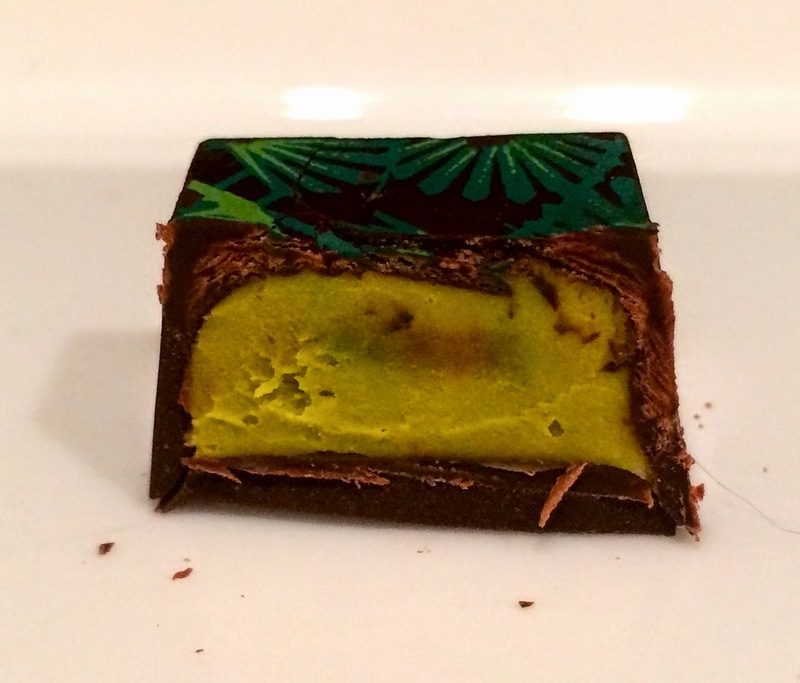 At the time I was living in College Station, but eventually while living in Las Vegas I was given the opportunity to work with a award winning chocolatier. 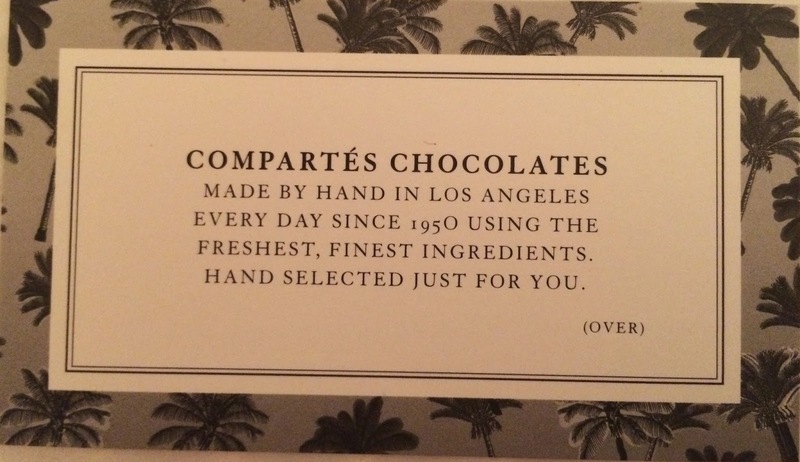 Here I fell in love with chocolate work, so when Adam and I were making plans to visit Los Angeles again I had to go try this place out! 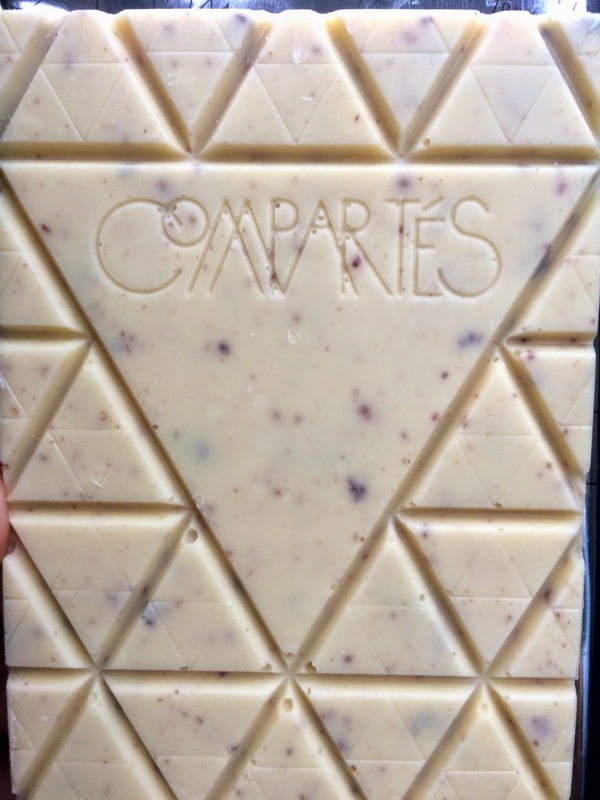 Compartes Chocolatier was founded in 1950 and has always used organic, all natural, pure ingredients that showcase flavors from around the world. Back then it was THE hot spot for chocolate, serving customers such as Marilyn Monroe, Frank Sinatra, Elvis Presley, and more. 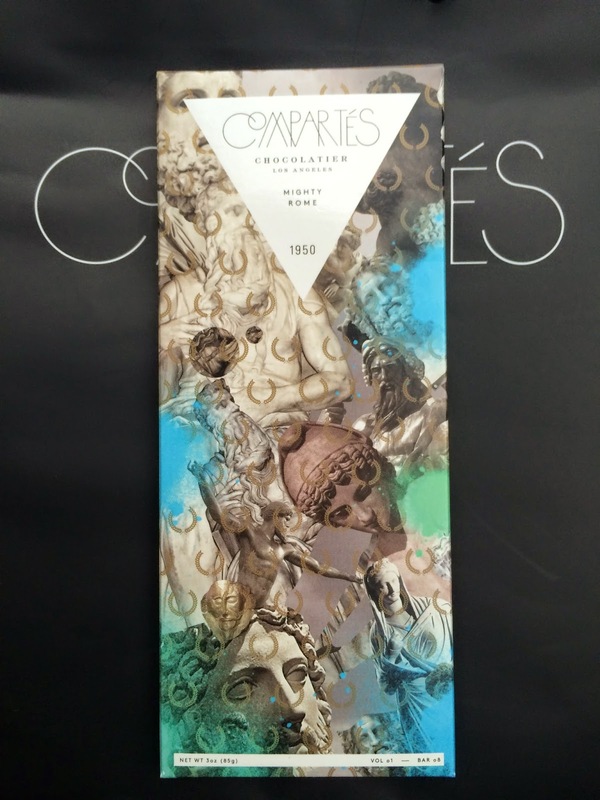 Today Compartes Chocolatier is still THE hot spot for Hollywood and is helmed by the chocolate prodigy, Jonathan Grahm. Jonathan is a world renown chocolatier famous for his gourmet truffles which he combines fashion/art with chocolate…he does live in LA after all. He is also America’s youngest chocolatier and well known in Hollywood where he caters to celebrities and red carpet events such as the Grammy’s, Golden Globes, and the Academy Awards. I was really hoping I would run into a celebrity while inside the store buying my chocolates, but the cashier said the celebrities have their assistants to pick up their gourmet chocolate truffles. Maybe next time haha. The chocolatier shop was quite small and looked almost like a house. 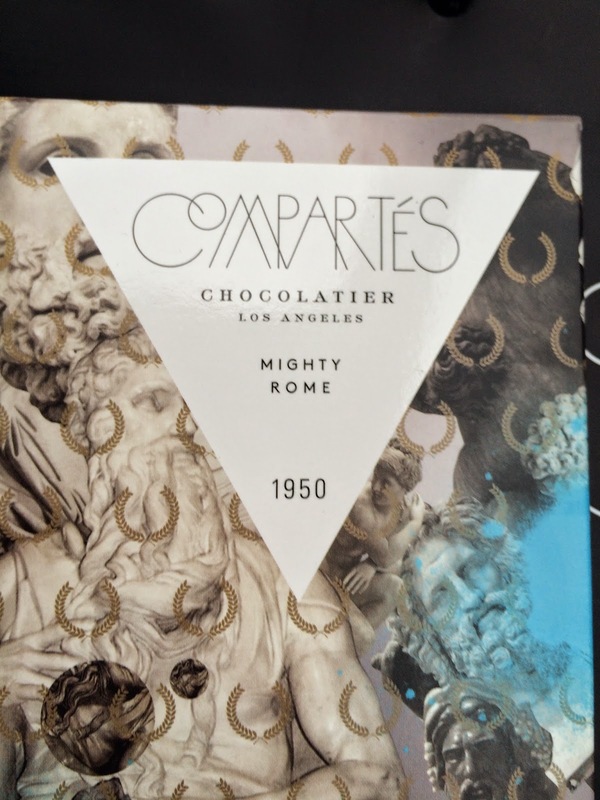 There were chocolate bars spread across one wall on shelves and a glass container full of beautifully designed chocolate truffles, along with chocolate covered Oreos and fruit. 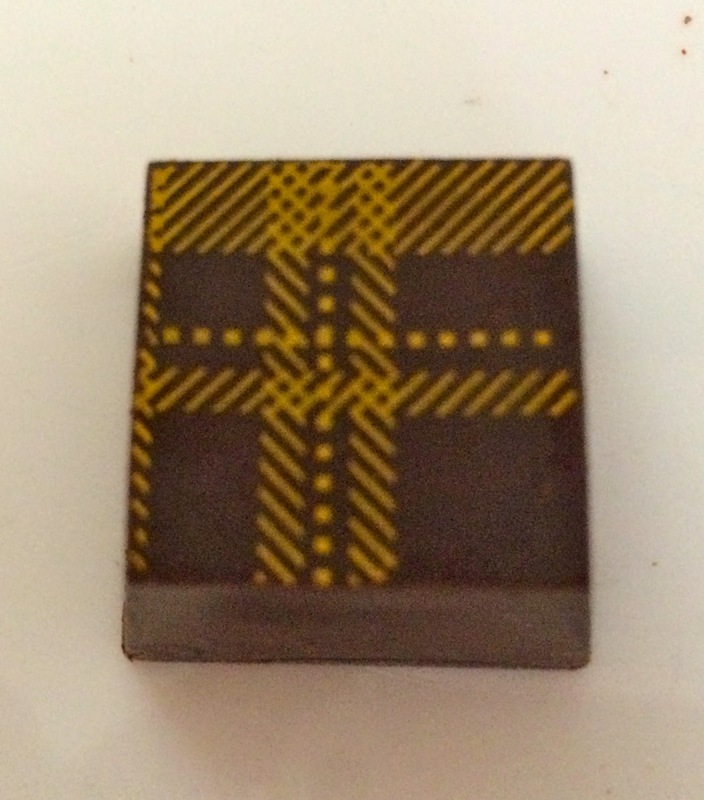 Everything is hand made, so you can watch a chocolatier work through a window. When we were there the chocolatier was working on Cereal Bowl White Chocolate bars. Whether you are a professional and love chocolate work or just a normal goofy guy like Adam, it was so cool! The flavor intensity of every truffle was absolutely amazing! 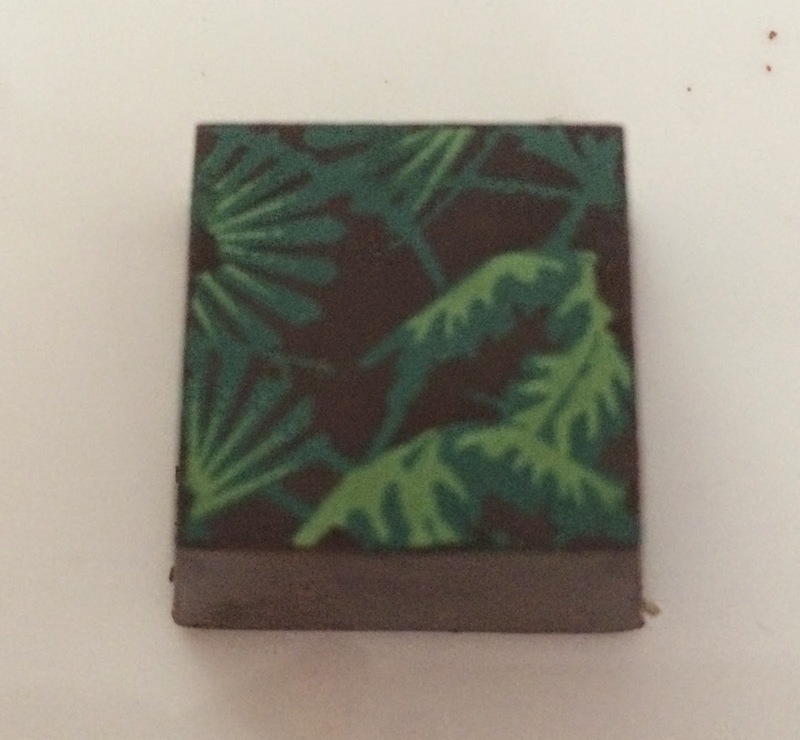 It was truly incredible how every distinct, natural flavor was packed into one small bite! 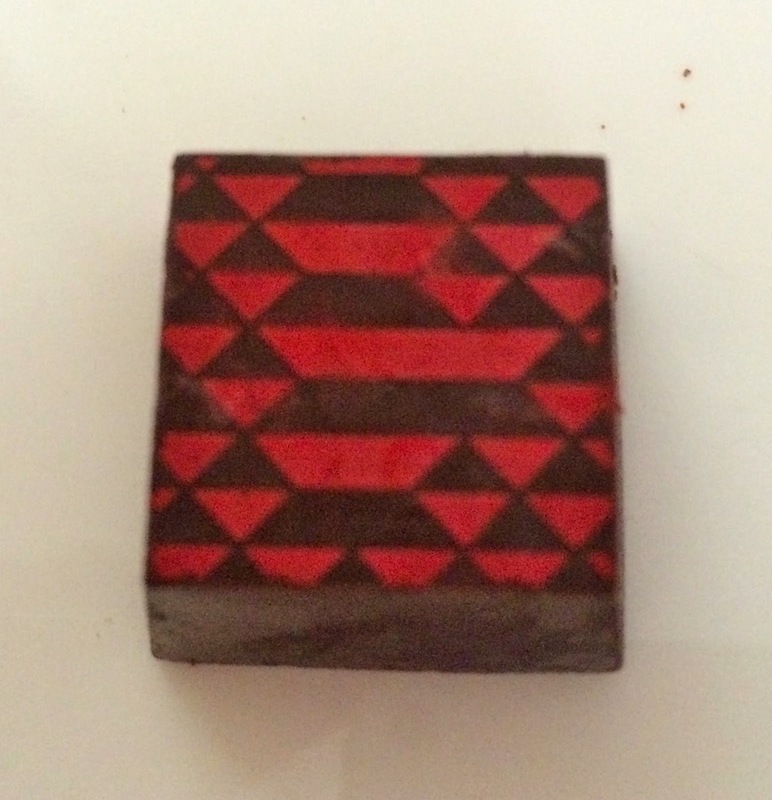 I always like to try new places out, but I am definitely going to need to try more of Jonathan’s delectable chocolate masterpieces after having these 10 signature truffles. Starting from top left moving right and then bottom left to right. 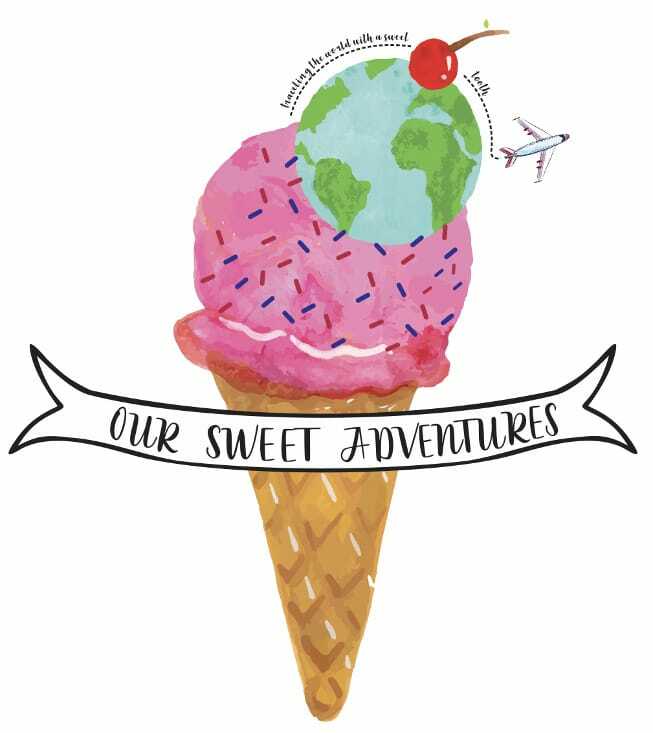 Sweet and delicious! 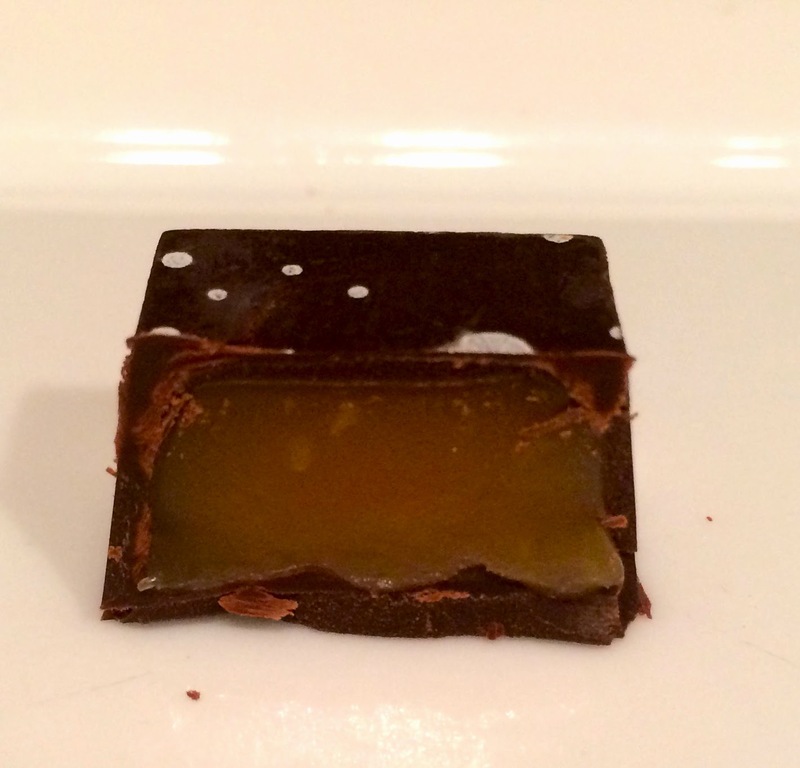 Nice dark tones from the chocolate combined with a perfectly sweet and creamy caramel. So luscious! Best darn chocolate caramel truffle I’ve ever had! 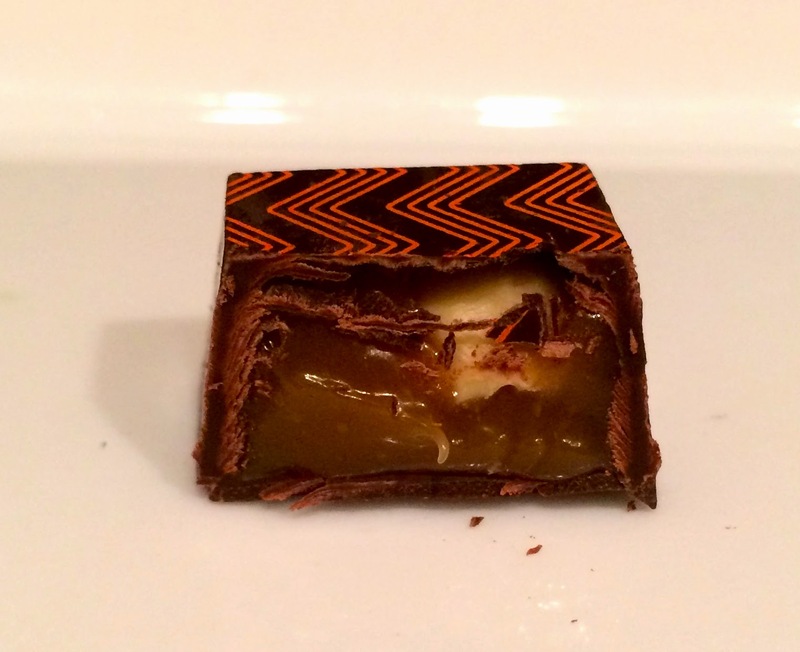 Similar to the homemade caramel but with a little nutty flavor from the hazelnuts. There seemed to only be one small hazelnut; I wish there had been more nuts or possibly chopped hazelnuts so I could get more of them because they were just so delicious. Of course there was a crunch from the roasted hazelnut which gave a nice contrast of textures, something I always enjoy. There was also a natural salty flavor from the organic hazelnut which added that extra bit of balance. For a small nut, this packs a lot of flavor – never count out the little guys! 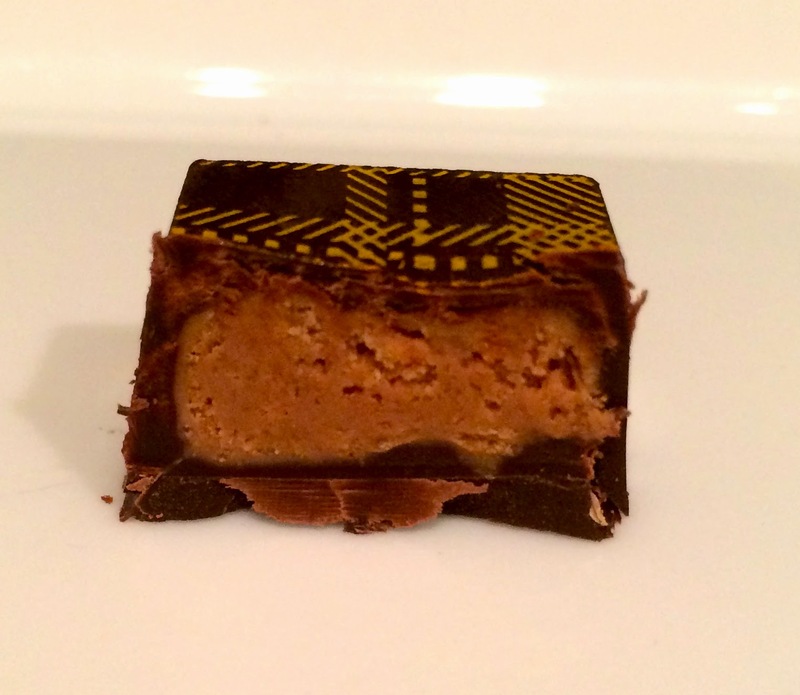 The caramel inside was not a creamy caramel like the hazelnut truffle or homemade caramel truffle. 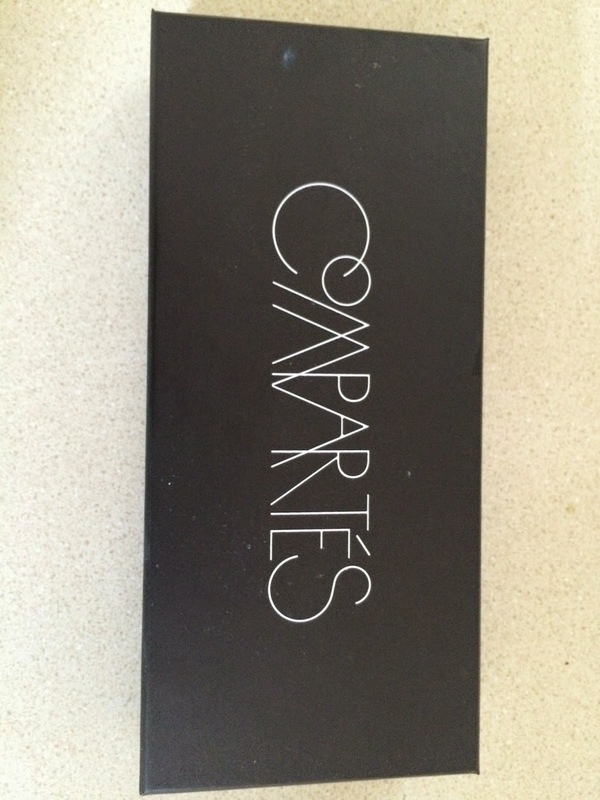 It was duller in color compared to the other shiny caramels, but it was both salty and sweet. 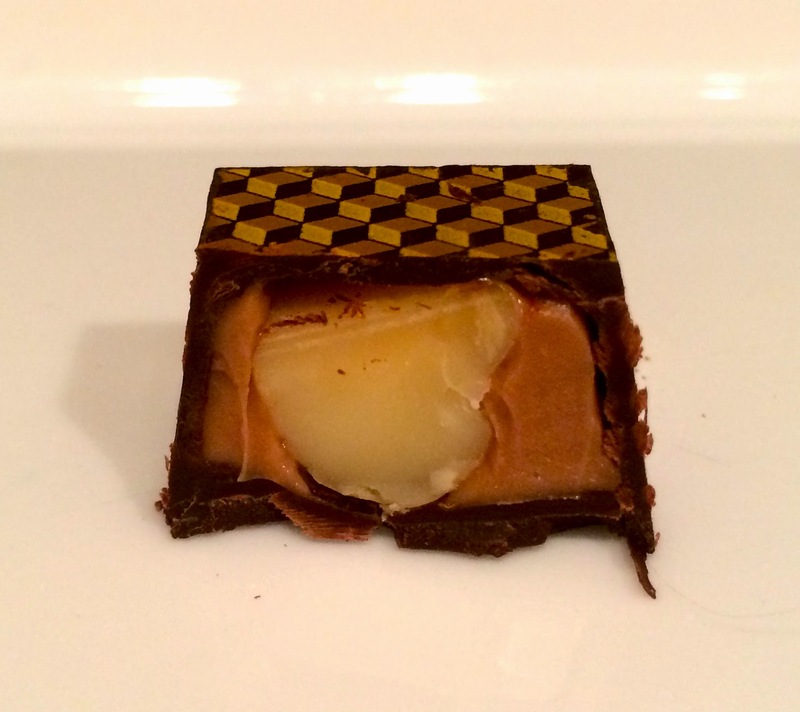 The natural flavor of the macadamia nut lingered even after I have finished the truffle. 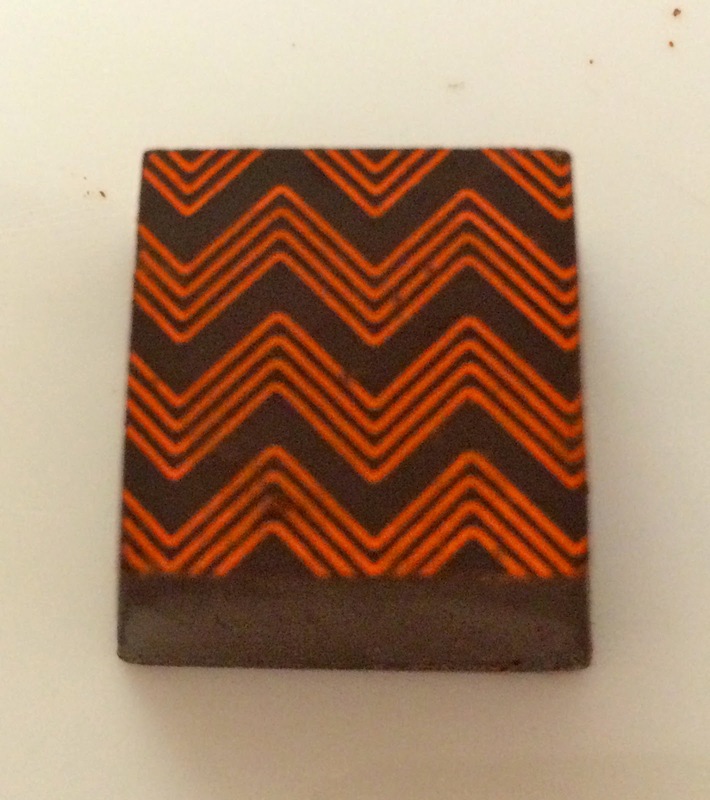 Dark, creamy, sweet, chocolate ganache. I do not know exactly where these cocoa beans where produced, but I could definitely taste their pure and exotic origin. 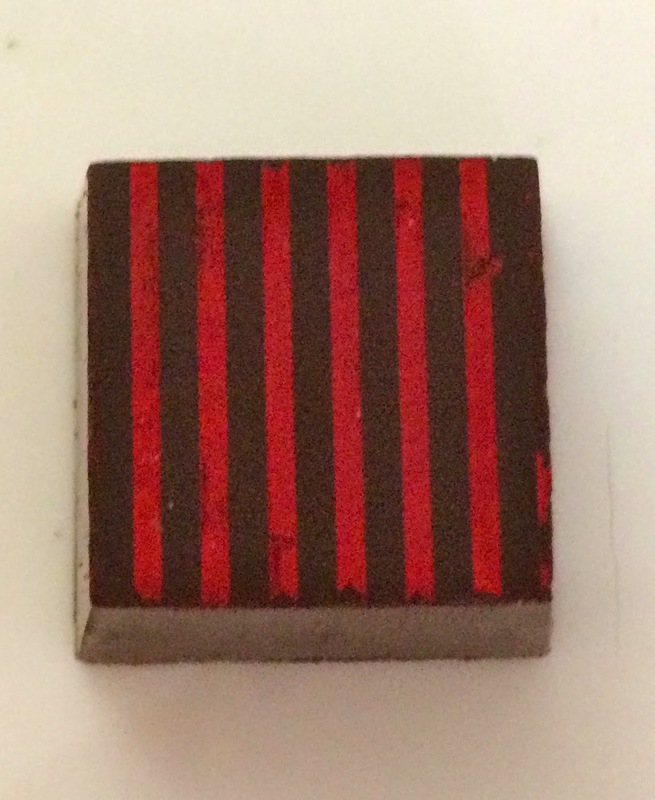 This is the best darn dark chocolate I’ve ever had. It was so simple, but it didn’t need anything more because I could literally taste the elegance of the cocoa beans. 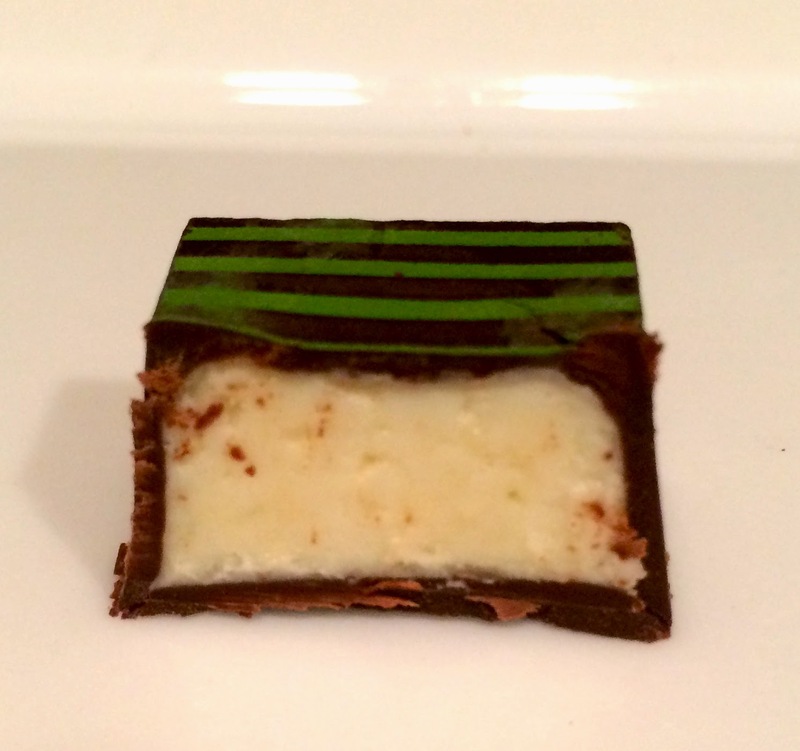 Small little crispy bites from the nougat inside a creamy chocolate truffle. The nougat was a little sticky, but not too much to the point where it sticks to the bottom of your teeth. 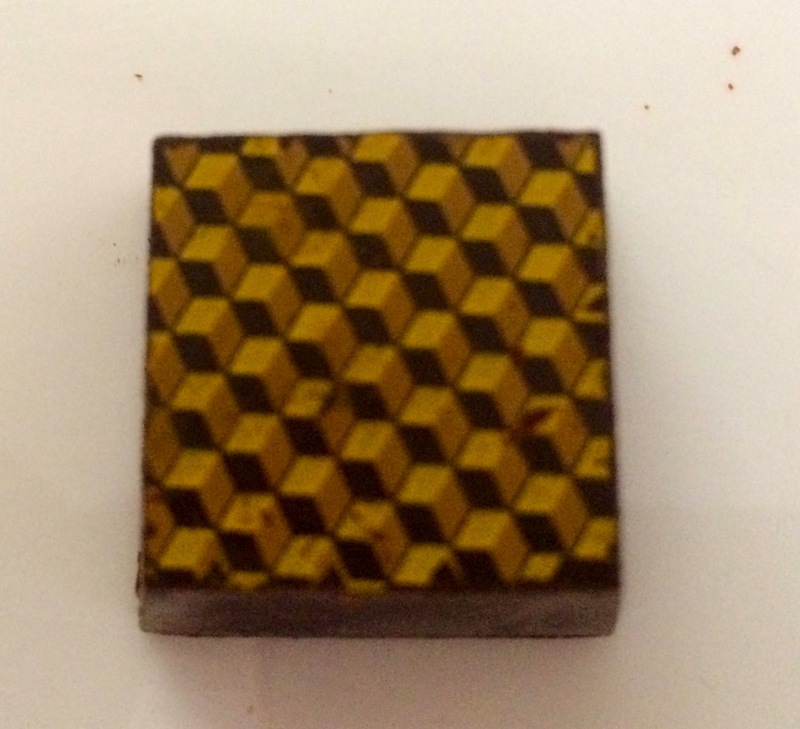 Similar to some of the other truffles, this had the traditional salty and sweet flavor combination. Apricot cream with apricot gummy bites inside. The cream was smooth and yes, creamy; the gummy candy was slightly chewy. Beautiful orange colors from both the cream and the gummy bites. 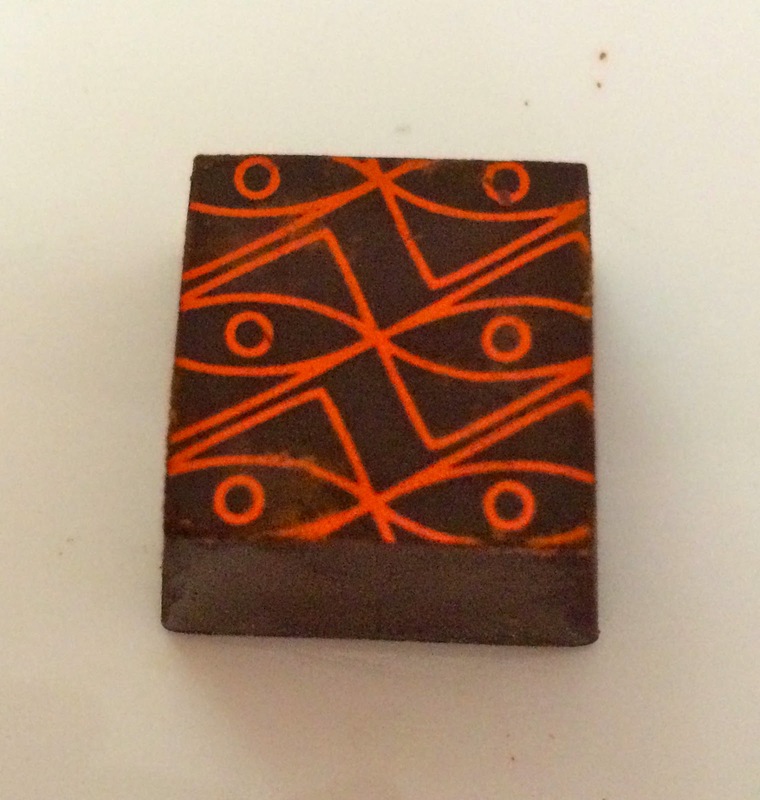 This chocolate truffle was a nice change from the other nutty ones. It was tart, tangy and sweet. 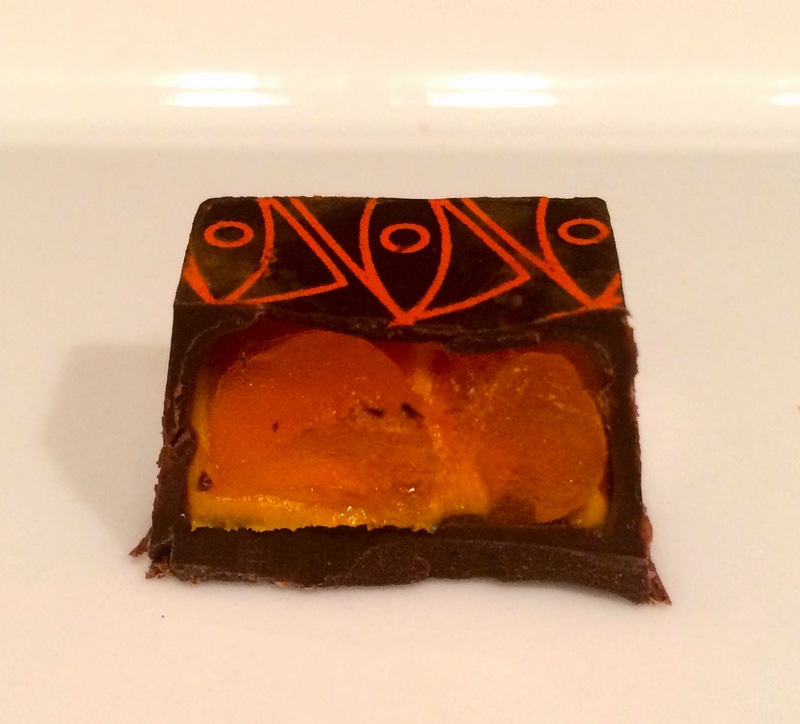 Again this was packed with the pure, organic and natural flavor of apricot – Jonathan Grahm is a true genius. Besides being nutty, this truffle was crunchy and crispy! It was like almond rice puffs. Delicious, sweet, and rich. 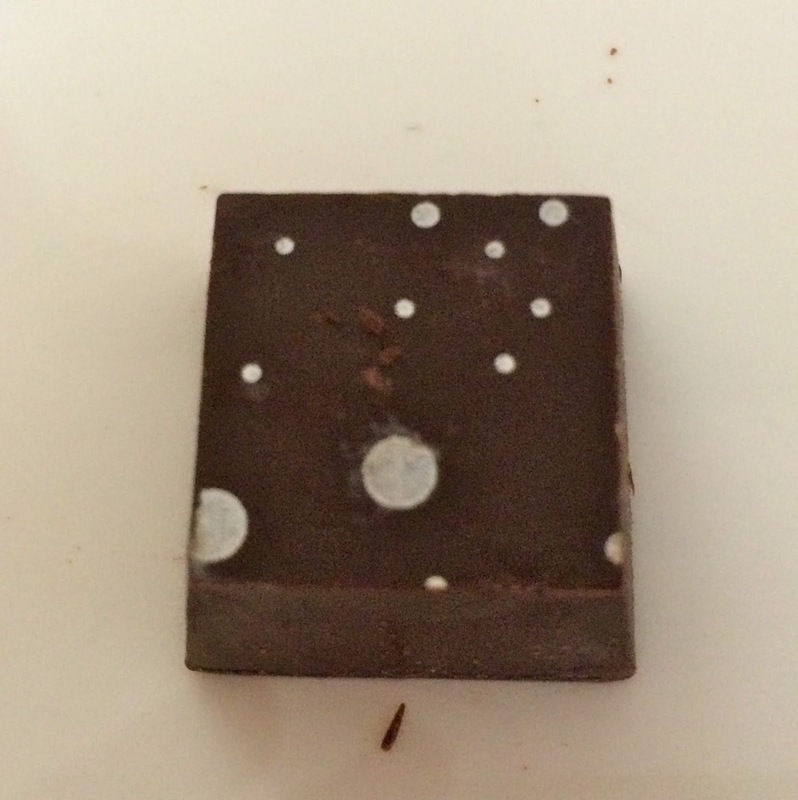 The best part about this chocolate truffle was how it differentiated from the others by the fun texture. 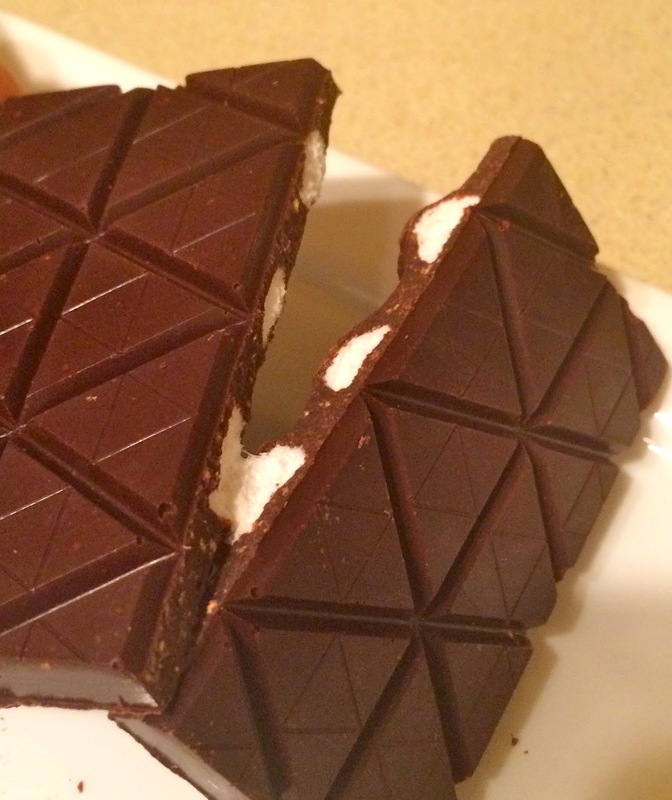 I could feel a little texture from the coconut flakes within the ganache. Excellent flavor of coconut. Like a typical coconut flavor it dried out my mouth, but the core flavor remained making it last just a sweet second longer. This truffle is divine! It is cream, silky, smooth and just melted in my mouth. The truffle was rich and intense with a sweet flavor that lingered in my taste buds. The only bummer is that I wanted more of the fleur de sel salty flavor. Then again, I love salt. 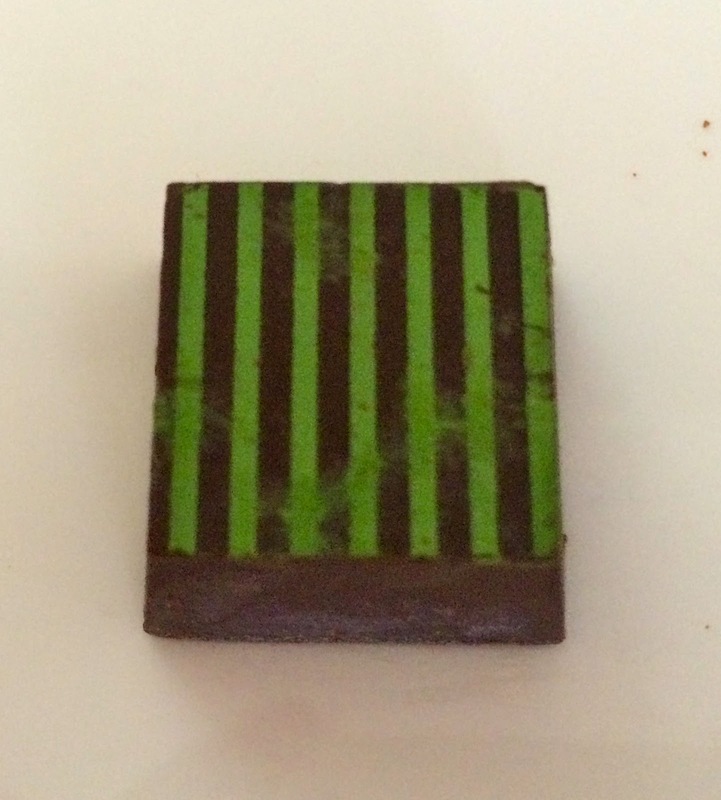 This was a white chocolate bar with finely chopped rosemary and olives. 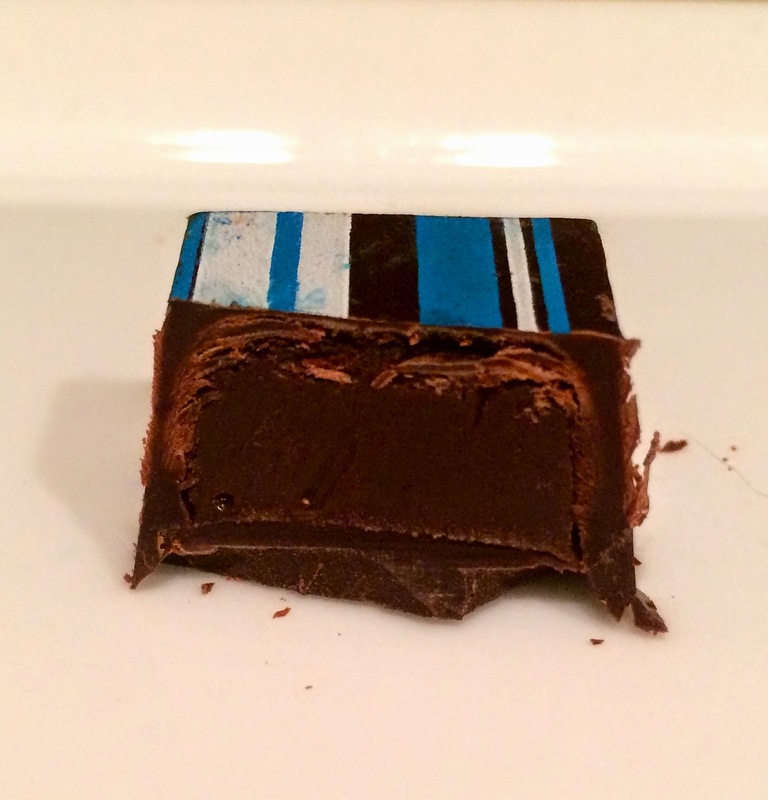 The flavor combination was good, but very different from your traditional chocolate bars. 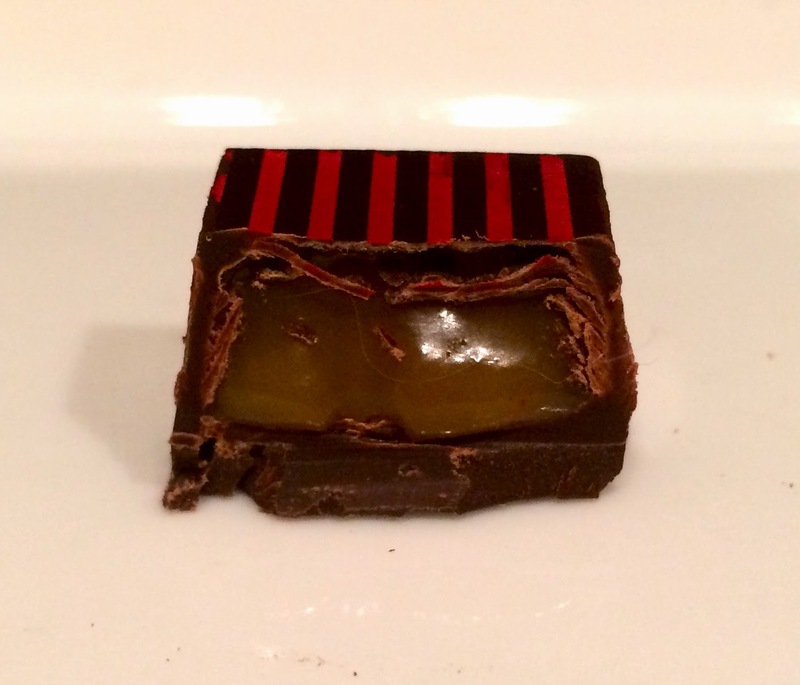 The white chocolate was very strong and sweet, and hit my palate alongside hints of rosemary and olives. Further, the flavors really carried over in my taste buds which gave an overall distinct flavor profile. S’mores is one of my favorite desserts in the world so I obviously HAD to have this chocolate bar and I am so happy that I did. It was sweet from the dark chocolate with just a touch of bitterness. 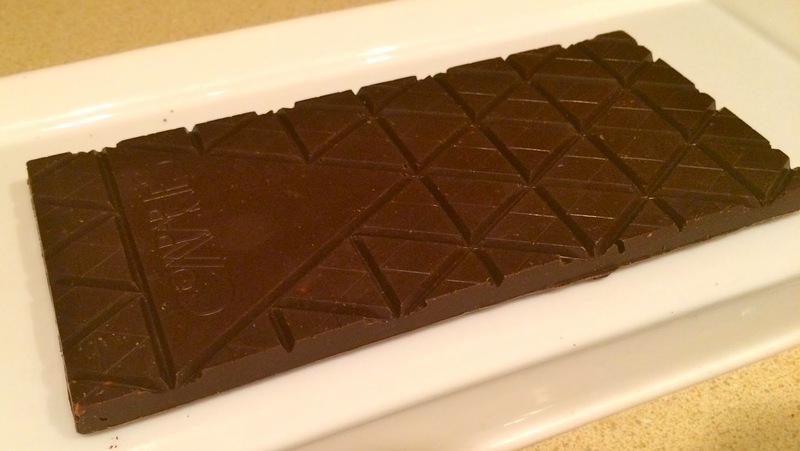 Great contrast of texture throughout this chocolate bar starting with some crispiness from the graham cracker crumbs and fluffy, airy marshmallow bites. These marshmallows were amazing; they were not your typical marshmallows from the grocery store – these were handmade in the chocolatier shop. It was all so decadent. 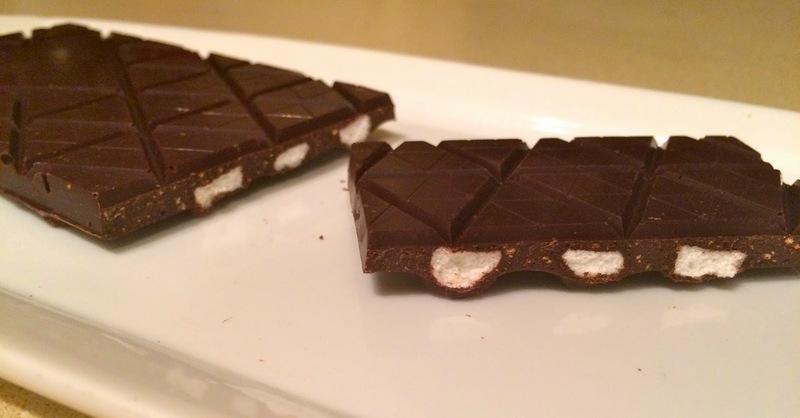 Every flavor and texture from traditional s’mores you make as a kid around a campfire was there. The only thing missing was the campfire essence and roasted marshmallows. 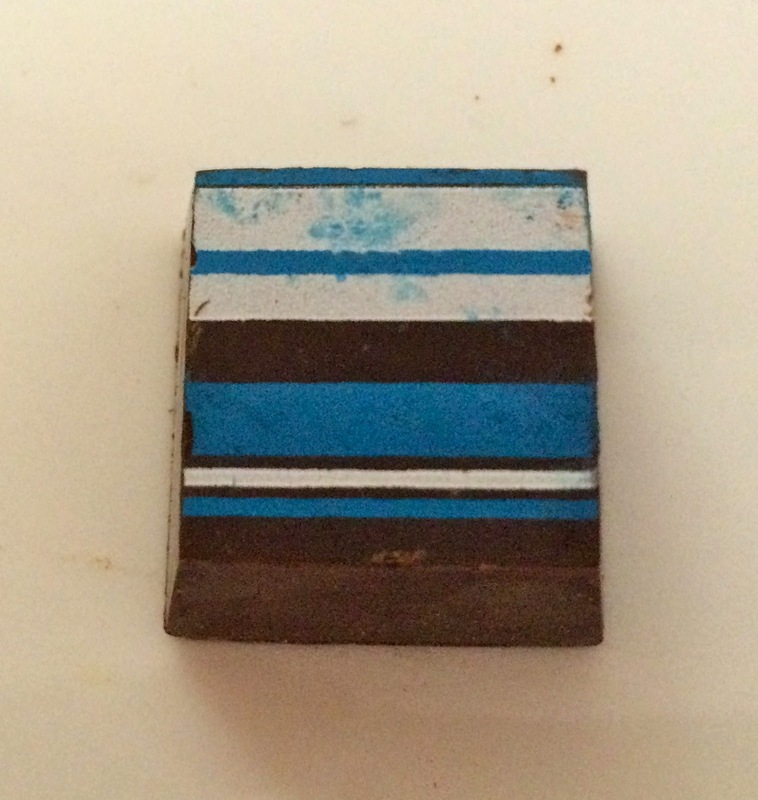 The smokey flavor would have made this bar a masterpiece.